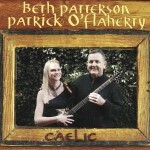 On her first full-length project since ‘08s On Better Paths, Beth Patterson reunites with fellow former Poor Clares multi-instrumentalist Patrick O’Flaherty for an eclectic baker’s dozen worth of tracks that’s hardly your standard Celtic fare. Buy on Amazon The majority of the tracks feature Patterson thrashing away on bouzouki and O’Flaherty gliding on accordion — an interesting, yet nonstandard configuration. And instead of the proverbial jigs, reels, and hornpipes Celtic musicians rip out whenever they get together, some medley tracks actually begin with a Cajun tune, like “J’ai Passé Devant ta Porte” and “The Mamou Two-Waltz” that segue seamlessly into a Celtic tune such as “Cill Aodáin.” A few Cajun-Celtic numbers are played in their entirety, like Adam Hebert’s “Pointe Aux Pins” — instantly attention-grabbing due to Patterson’s infectious rhythmic strumming on the intro. Other than Patterson’s gorgeous French vocals that are otherwise a dead giveaway, the Cajun melodies are so well rendered that it’s conceivable some could mistakenly assume their origin was always Celtic. Patterson and O’Flaherty are just tight on the trad Celtic material, frolicking and galloping through a bevy of Irish, Scottish, Welsh, and French Canadian tunes. On occasion, O’Flaherty percolates on banjo and accompanies his vocals on mandolin. Interestingly, he takes the lead on the twin bouzouki duet “Óró, Séadh Do Bheatha Abhaile.” But when it’s all said and done, O’Flaherty should be lauded for his vocals on the centuries-old, sean nos style of Gaelic language singing (“Bean Phaídín,” “Cúnla”). Only a few can sing this well unaccompanied and stay in pitch, something O’Flaherty does with the best of ‘em. 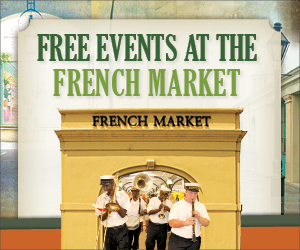 A sound alternative for traditional Celtic and Cajun music lovers alike.